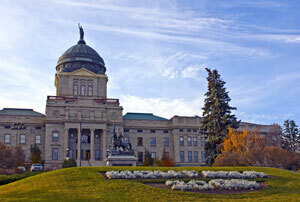 Helena is the capital city of Montana, is home to over 28,000 residents and is known as the “Queen city of the Rockies”. There are many effective advertising opportunities throughout the city. The historical district of Helena is very popular with such attractions as the Helena Civic Center and the Cathedral of Saint Helena. Out-of-home advertising near these areas would allow you to capture the business of locals and visitors alike. Target your audience with outdoor advertisements on the campus of Carroll College or Helena College University of Montana. The major roadways that service Helena also provide high traffic billboard possibilities. Zip Codes: 59601, 59602, 59604, 59620, 59623, 59624, 59625, 59626.